.....ISMS is registered British Certification INC which is accredited with JAS-ANZ Accreditation body. This accreditation ensures the quality of the management system implemented by ISMS. It provides an organization with a set of principles that ensure focused, informed, scientific and proven approach to the management of your business activities to consistently achieve customer satisfaction and continually improve operational effectiveness on the basis of PDCA cycle. ISMS is approved member of IADL (International Association for Distance Learning). The International Association for Distance Learning promotes excellence in open, distance and online learning worldwide, and provides a benchmark through which global consumers can gauge the quality of courses offered by our membership. The IADL is an Independent, non-profit organization with its principal administrative offices in London in the United Kingdom. ISMS is proud to be an institutional member of ISTE (membeship Number 2485) Which is one of the most prestigious Bodies governing Technical Education and is also one of the AICTE approved Body to run various programs including WPLP – Working Professionals Learning program. 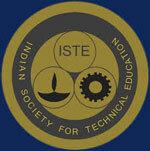 The Indian Society for Technical Education (ISTE) is a national, professional, non-profit society registered under the societies Registration Act of 1860. First started in 1941 as the Association of Principals of Technical Institutions, it was converted into “Indian Society for Technical Education” in 1968 with a view to enlarging its activities and advancing the cause of technological education. The major objective of the ISTE is to assist and contribute in the production and development of top quality professional engineers / technicians and Management graduates needed by the industries and other organizations. Being the only national organization of educators in the field of engineering, Management and technology, ISTE is involved in the various technical committees, boards formed by central government, Ministry of Human resource Development, AICTE/DOTE/DST. State government, are also involving the ISTE in many of their important programs and activities relating to technical education. ISMS is Prestigious Member of British Academy of Mangement. New York: ISMS is member of AMA, which is the world's leading membership-based management development organization. AMA offers a full range of business education and management development programs for individuals and organizations, worldwide. ISMS is a proud member of American management Association New York which is the world's leading membership-based management development organization. AMA offers a full range of business education and management development programs for individuals and organizations, worldwide. ISMS is Prestigious Member of Inodo-American Chamber of Commerce. (NCHEMS) has its mission to improve strategic decision making in higher education for states and institutions in the United States and abroad. Through its more than thirty years of service to higher education, NCHEMS has been committed to bridging the gap between research and practice by placing the latest concepts and tools in the hands of higher education policy makers and administrators. Since its founding, NCHEMS has received widespread acclaim for developing practical responses to the strategic issues facing leaders of higher education institutions and agencies. With project support from multiple foundations, NCHEMS develops information and policy tools targeted at policy makers and institutional leaders that can help them set strategic directions and evaluate their effectiveness. Specific research, consulting, or development projects funded by institutions, consortia, state agencies, federal contracts, or foundations. Information services and resources that make the Center's extensive data holdings accessible to the higher education community. Publications and reports that disseminate research results, concepts, principles, and strategies to a wide audience of policymakers, administrators, and researchers. 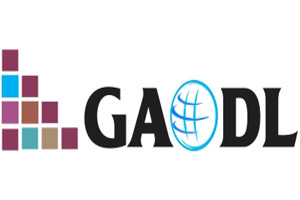 ISMS is accredited to Global Association For Open and Distance Learning, which is a USA based organization where GAODL strives to make a difference in the effectiveness of learning by bringing distance learning professionals together from across the nation and around the world.